Paris Fashion Week is currently in full swing, but I'm going to take it back to Milan for a round up of my favourites. Of course, Dolce & Gabbana takes top spot. Unless you've been living under a rock, you will have seen this show all over social media - and with good reason. Dedicated to the Italian Mamma (and mums all over the world), the show featured babies, toddlers and pregnant models, and I'm pretty sure every woman watching it felt their ovaries ache. 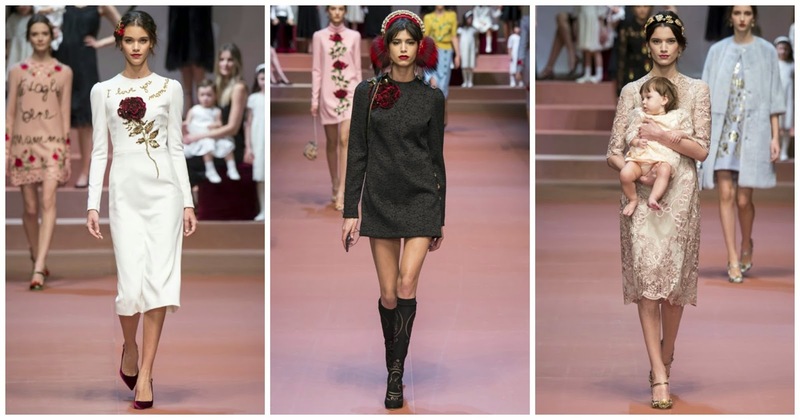 Taking inspiration from Sicily in true Dolce & Gabbana fashion, the collection was full of rich colours, intricate lace and feminine elegance. Next up is Fendi. Sophisticated and clean, I loved the tans and whites that made their way down the runway. 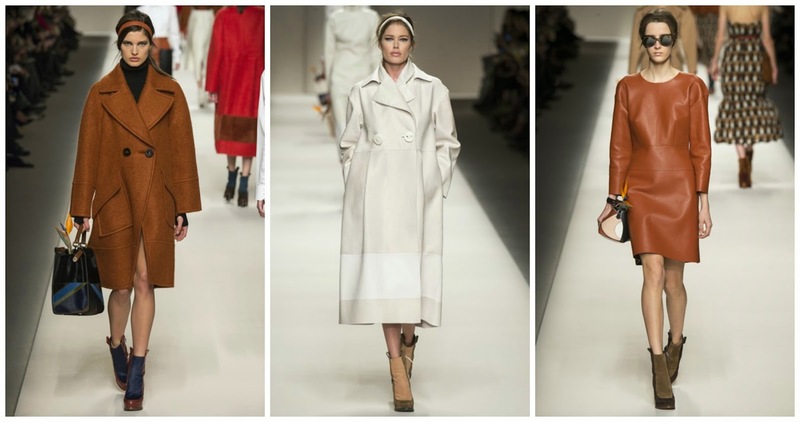 Coats were long, oversized and impeccably cut, and huge pockets were seen on dresses and skirts. A completely wearable - and totally stylish - collection for AW15. 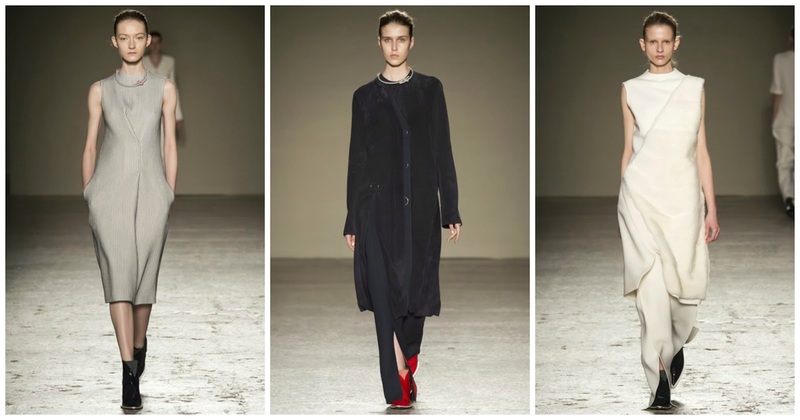 Gabriele Colangelo is next on my list of favourites from Milan. He's not a designer that has really been on my radar before, but I loved his collection this season. Using minimal and neutral colours (always a good start in my book), he used complicated shapes and draping that managed to look completely chic and effortless. 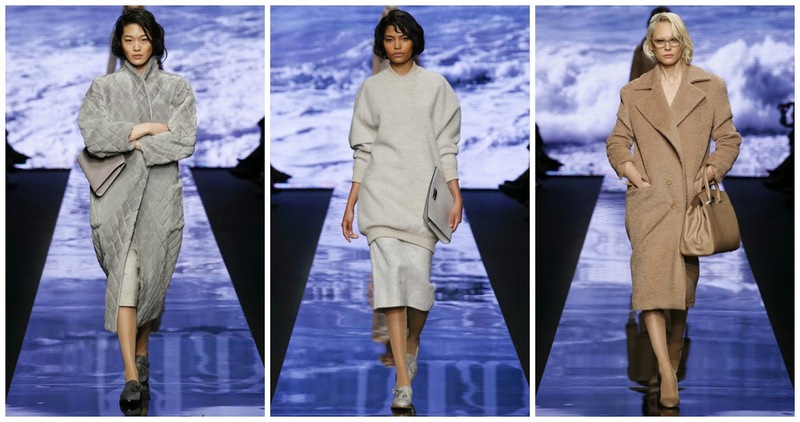 Jil Sander is one of my favourite fashion houses and is one collection I look forward to every season. 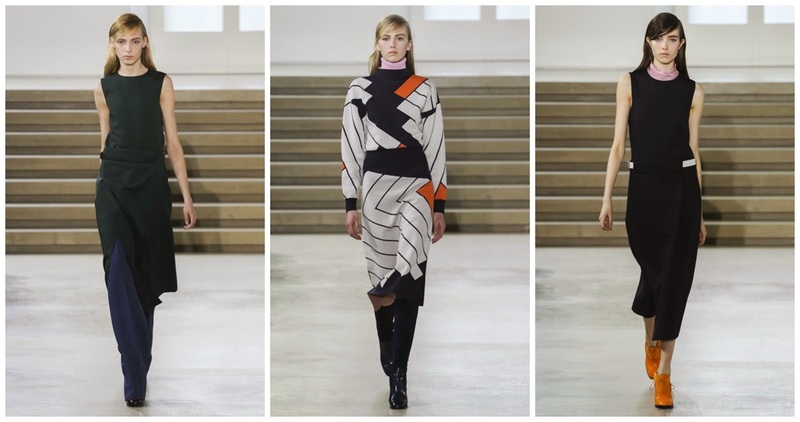 It didn't disappoint for AW15 - silhouettes were long and clean, geometric prints were plentiful, and I loved the flash of polo necks sticking up underneath dresses and jumpers; an easy styling trick that you can easily use next season (or now, for that matter). Last but not least, we have MaxMara. Inspired by images of Marilyn Monroe walking along a beach, oversized coats were pulled and wrapped at the waist, feminine 1960s silhouettes reigned, and jumpers were worn big and baggy over slim midi skirts. I love the simple colour palette of soft greys, whites and camel, too.